The harp has been a healing and calming instrument for many centuries. An early record of this is the Bible story of David calming King Saul with his harp. Marilyn Wienand has been playing the harp for the terminally ill for several years. Read more about Marilyn's inspirational musical journey. 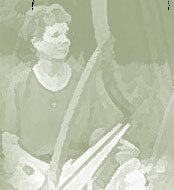 Deer Hollow features the harp music of Karl Wienand and others for lever harp, pedal harp or 26 string lap harp. We also offered related CD's and video. 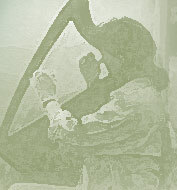 Our harp music was developed for the harp therapist to use for hospital, hospice and worship. We also have some great materials for the beginning harp student. Deer Hollow Music was formed in 1996 when Karl began composing harp music as a request from me (Marilyn). I was playing therapeutic harp music at the bedside, a very fulfilling way of serving others. Since my husband was such a fine composer I asked him to write music for bedside harp therapy. This harp music is specifically intended to bring the hospice patient into a calm and peaceful state. This harp music is very therapeutic, being slow, non rhythmical, dreamy and so forth. Many harpists have used this music for beside therapy, hospital and hospice. There are also two books of “old favorite” hymns for lever harp, which are very useful for hospice, hospital or bedside music therapy. Our four books for the 22 string harp fill a need, since repertoire for the small harp is somewhat limited. Two of the books are for the beginning harp student and the others are for more advanced harpists. They can be used by harpists playing at Renaissance Faires and festivals. Click here for a plethora of Harp Links! - "Truly you indeed have an angelic presence and your music must be heaven inspired!" - "Music lovely & beautifully presented--Tape wonderful!" - "Dear Dr. Wienand, Thank you so much for your beautiful playing at our wedding ceremony. I have had many comments from guests who found it transcendent. You really helped set a magical mood for our small, garden wedding. I aslo appreciate your accompanying my good friend and your willingness to come early to rehearse. All the best, Shannon and Ian"
- "Marilyn, We wanted to thank you for making our wedding day so wonderfully beautiful. The harp was ethereal, just as we had imagined. We so appreciate you being a part of making our day just that much more special! Bless you, Heather and Brian Markley 10-10-08"